Temperature is one of the most important physical parameters in every walk of life. It has the cause and effect even in human beings and other creatures apart from machines and manufacturing processes. Close monitoring of the temperature and taking timely preventive measures can save life, machines and materials. However it is practically impossible for a human being to continuously keep sensing and taking timely measures to prevent damage. Hence an electronic device designed to monitor the temperature continuously and give an audio visual alarm in case of temperature crossing the limits is essential. Many a times it will be essential to monitor the temperature at different zones in a machine or in a manufacturing process and give out a common alarm whenever these zones cross their corresponding limits. It will be expensive and unwieldy to have one electronic device deployed for every zone .Instead it is desirable to have one electronic device designed to sense temperatures at different zones., compare the preset limits and give out a common alarm. 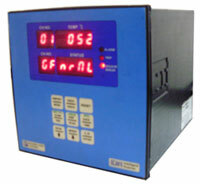 It is this device which is referred to as Temperature Scanner. Designed by engineers with more than 25 years of experience. Accurate, Cost effective and Reliable. Repeated orders from customers endorse the quality and reliability of the product. Excellent after sale service ( Still maintaining products supplied in early 1990s' ). 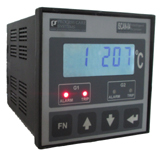 Temperature scanners available in several models to suit several applications.